OmniPULSE should be applied as a foliar spray when crops have sufficient leaf area. Legumes / Pulses: 2-5L/Ha with 50-60L of water per Ha. Broadacre crops: Apply 3-5L/Ha with 50-60L of water per Ha. 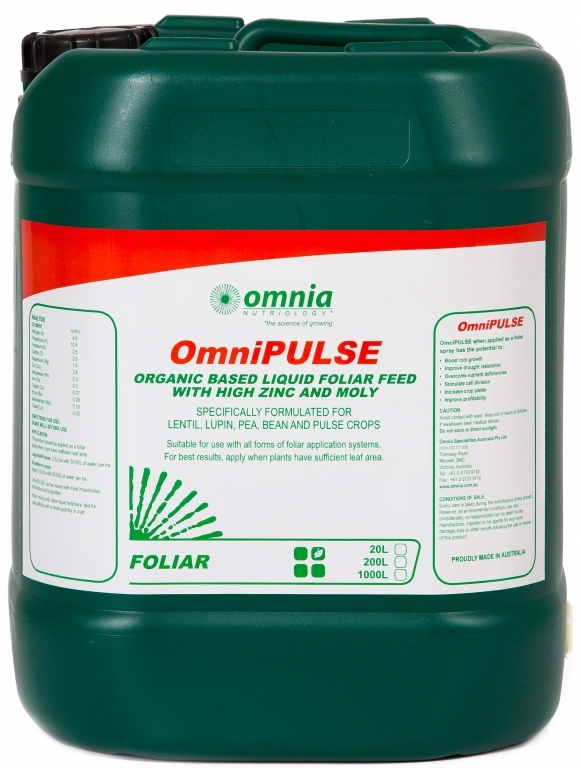 OmniPULSE can be mixed with most insecticides, herbicides and fungicides. When mixing with other liquid fertilisers, test for compatibility with a small quantity in a jar.